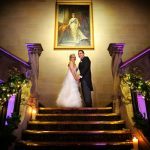 Confetti Productions were established in 1986 we have since filmed numerous weddings and other special occasions. We have a wealth of experience in wedding videography. We have built a reputation for a strong commitment to quality, reliability and professionalism together with a personal service which is so necessary on one of the most important days of your lives. 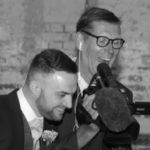 We are also fully aware that the last thing any of the wedding party needs is a camera thrust into their face at every turn and we pride ourselves on being very discreet and inconspicuous. Indeed, one of the best compliments we hear is “we didn’t even notice you were there”, as this implies that the wedding party and their guests are behaving in a totally natural way which makes for the best possible production. Another comment we often hear from the bride and groom is how quickly the day flew by and how they missed many of the special moments we captured on film.